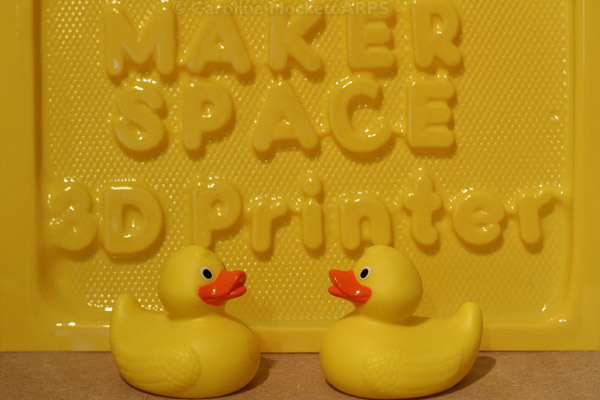 Today we went to Maker Space to help pack everything up for their move to new, bigger premises. 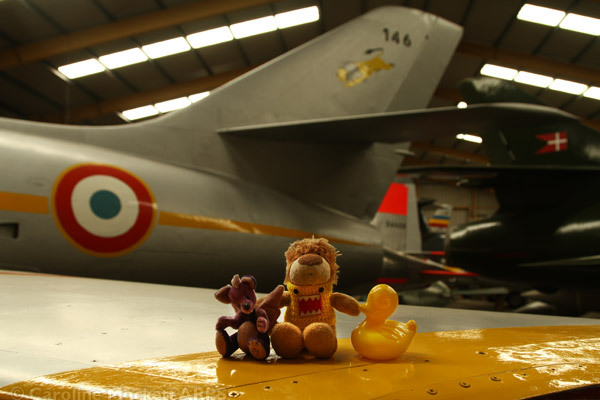 These two friends of Mr Duck look after anything which is yellow. They are very good at it. Pointy Max found himself stuck in a rut today in the pub beer garden. Snap was there to give him a hand out of his predicament, but not before he’d taken a few pictures! A good shot for the week’s theme, Holes. 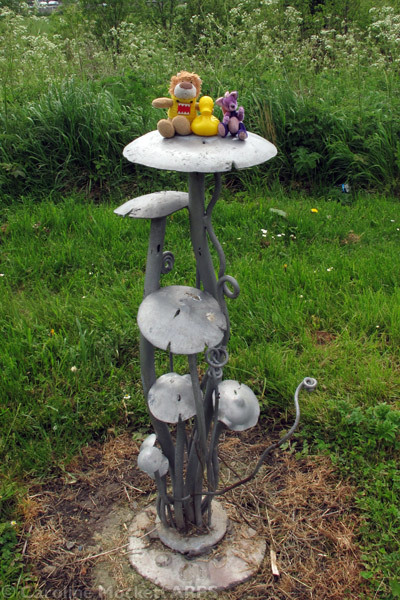 Today me and Leo went for an explore with Mr Duck, Caz and Alistair. 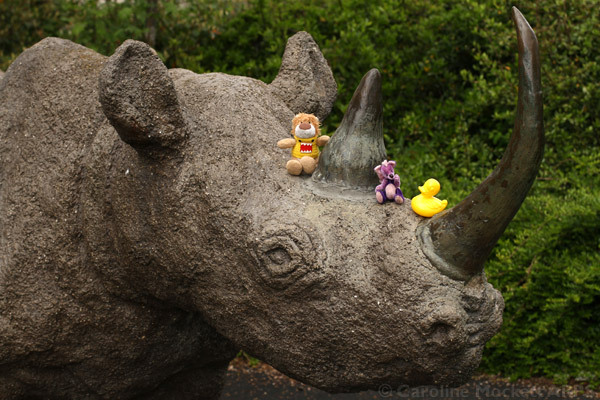 Mr Duck took us to meet one of his friends, Mr Rhino. He’s a very friendly chap who didn’t mind us sitting on his nose for a picture.